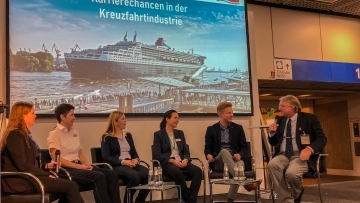 On the “Internationale Tourismus-Börse” (an international tourism fair) in Berlin, Hamburg Cruise Net invited to a panel discussion. 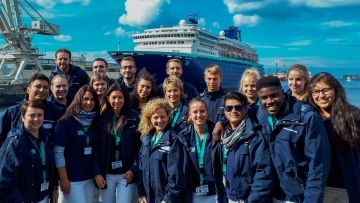 Timo Kaden participated as guest on the topic career opportunities in the cruise. On February 7, 2019 Color Line invited to the New Year’s reception in Kiel. 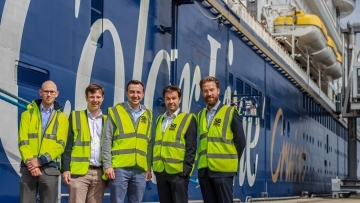 An important topic was the new cargo ship “Color Carrier” which will be serving the Oslo-Kiel route three times per week. Traditionally the cruise season of Sartori & Berger in Hamburg starts with a call of Cunard. This year the first ship we welcomed was Queen Victoria. 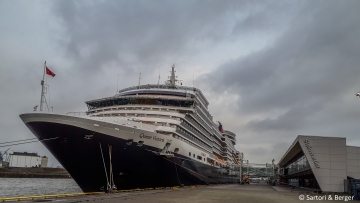 In addition to two further port calls we also expect Queen Mary 2 five times in the Hanseatic city. Our colleagues of the agency and stevedore department are looking forward to the next visit in April and wish a safe journey! At the beginning of September we said “¡Adiós! Pullmantur Zenith” for the last time for now. During the last three years Sartori & Berger provided the 80,000, mostly Spanish speaking cruise passengers with an all-inclusive package. Monday morning around 5 a.m., an approx. 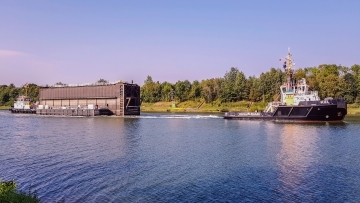 120 meters towing unit consisting of the two tugs “Kiel” and “Holtenau” as well a lock gate left Brunsbuettel on route to Kiel. Also on board were four men of Sartori & Berger’s runner crew. 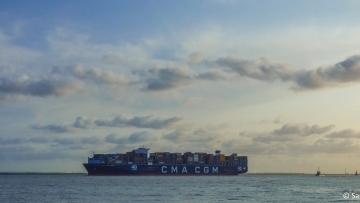 Yesterday CMA CGM Antoine de Saint Exupery called the port of Hamburg for the second time. 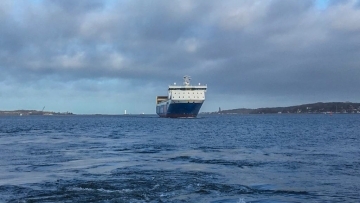 As ULCC (ultra large container carrier) – one of the largest container ships in the world – it was moored at Burchardkai. 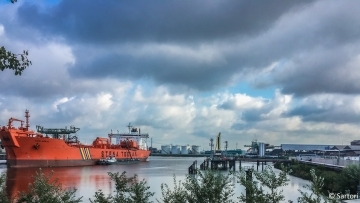 On Monday afternoon the Celtic Explorer moored in the southwest port of Hamburg. 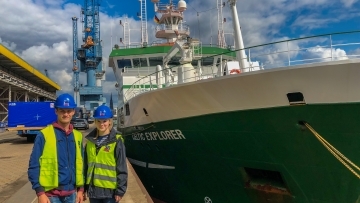 The 65,5 m long and 15 m wide research vessel called the port of Hamburg for about 2 days to load measuring instruments and research equipment. Furthermore a TV team went on board to report on the upcoming research trip. As agent Sartori & Berger was responsible for the clearance and took care of all formalities referring to the call. 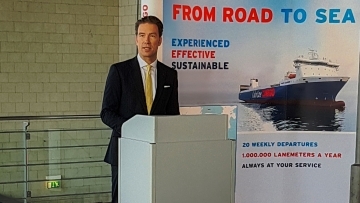 During his summer tour the Federal Chairman of the “Junge Union” Paul Ziemiak (member of the German parliament) from Nordrhein-Westfalen also visited Kiel on the important topic maritime economy. Jens Broder Knudsen organized an informative day in the port for him, i.a. he showed the handling of Color Fantasy at the Norwegenkai together with the managing director of Color Line in Germany Dirk Hundertmark. It is the day of this season: the 11th of August. 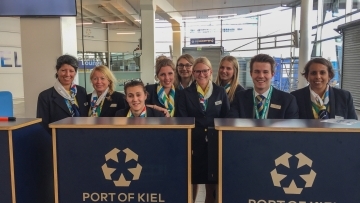 On Saturday, more than 230 employees of the cruise departments were on site in Kiel, Hamburg, Rostock, Bremerhaven and Travemuende contributing to a successful handling of 9 ships with more than 36.000 cruise guests. The recently arrived reachstacker had its first use in our stevedoring department in Kiel. 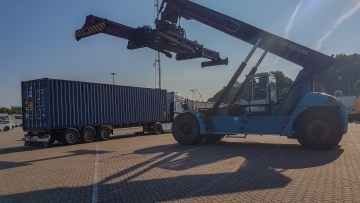 The container reloading from a truck onto a flat went fast and smoothly. The colleagues are looking forward to many more reloadings.